Kathmandu, 21 November (2018) – Advocacy Forum – Nepal, with the support of Open Society Foundation, organized a two day regional workshop on "Strategic Litigation on Torture" in Kathmandu on 20th and 21st November. Thirty participants from Pakistan, Sri Lanka, Indonesia and Nepal were present in the workshop. Among the hundreds of cases documented, Advocacy Forum has selected altogether 15 representative cases that show an endemic pattern of obstruction of justice, brazen abuse or total disregard of the law and deliberate attempts to escape accountability. The cases are also selected on the basis of their availability of evidence and wider public appeal. AF launches campaigns with other national and international organizations to establish accountability in those cases with a view to opening the door of justice to thousands of other similar cases. First Information Report (FIR) is a formal complaint lodged with the police or District Administration Office by the victim of a cognizable offence or by someone on his/her behalf. As per the existing legal system in Nepal, victims or their representatives do not have direct access to the courts. In criminal cases, police have exclusive jurisdiction to investigate and process evidence to the public prosecutors who then register the cases in court. However, the police authorities not only dillydally to register FIRs but also fail to carry out effective investigations. AF has been helping victims and their families to file FIRs and seeking mandamus orders for the effective investigations on the cases. 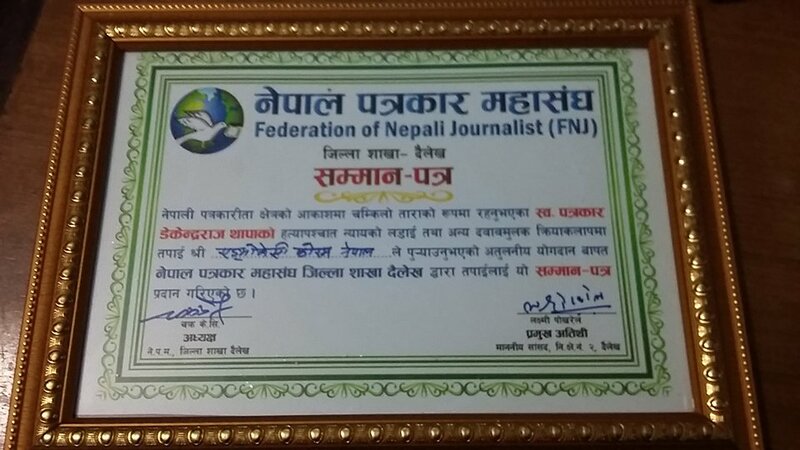 Advocacy Forum is the first organization in Nepal to use individual complaint mechanism under the First Optional Protocol of International Covenant for Civil and Political Rights (ICCPR). According to the said protocol, individuals, whose countries are party to the ICCPR and the protocol, who claim their rights guaranteed by the ICCPR have been breached, and who have exhausted existing domestic legal remedies in the pursuit of justice, can submit written communications to the UN Human Rights Committee (HRC). This particular effort of AF has opened the space of Nepali lawyers to international litigation. Advocacy Forum legally intervenes on behalf of detainees who claimed to have been tortured by police and forest officers in government detention facilities. Upon consent by victims, AF attorneys register suits, and represent victims in court seeking for torture compensation under the Torture Compensation Act -1996 and necessary action against the perpetrators. Advocacy Forum reports urgent cases of human rights violations to UN-OHCHR, AHRC and to some specific organizations such as Amnesty International, Asian Human Rights Commission, OMCT, Human Rights Watch, International Commission of Jurists, diplomatic communities, UN Special Rapporteur on Torture, the UN Special Rapporteur on Extrajudicial, Summary or Arbitrary Execution and the UN Working Group on Enforced and Involuntary Disappearances. These international organizations/bodies give due importance to our communications and have been regularly issuing urgent appeals to pressure the concerned authorities and the government. AF also regularly reports cases to Human Rights Cell of Nepal Police, Office of Attorney General and National Human Rights Commission requesting investigation and necessary action against the perpetrators and timely redress to victims. Important judicial rulings by courts in the cases represented by AF on behalf of victims have been instrumental in establishing case law in Nepal. The efforts of AF have been immensely important in setting standards vis-à-vis the cases of human rights violations and ensuring fair trial standards in Nepal and thereby creating a solid body of jurisprudence. AF also files Public Interest Litigation (PIL) seeking various directive orders for the implementation of existing legal provisions and challenging those provisions that expressly contradict with the accepted international standards. AF has developed a comprehensive framework to strengthen capacities of its staffers, stakeholders, institutions, communities and target groups for the effective realization of its vision, mission and goals. The framework is set at the systemic, institutional and individual levels. Key areas that require capacity building are identified as per the needs of relevant stakeholders or when AF feels necessary during the implementation of its various activities. AF is also committed to increasing its functionality by supplementing the expertise of staff wherever possible, both by educational workshops and by exposure to the international human rights community. 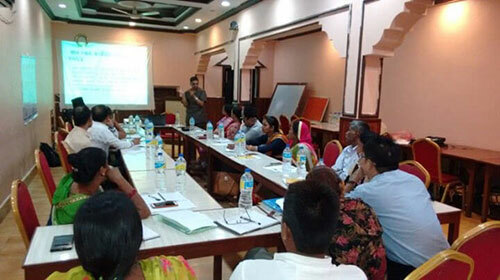 Advocacy Forum works to influence the Nepali government's policies and laws by holding regular lobby meetings with lawmakers, officials from ministries concerned, members of the civil society and other relevant stakeholders. Via various activities, campaigns and submissions, it also tries to lobby both national and international bodies to ensure human rights are upheld. It has also been continuously seeking to establish strong lines of communication and effective working partnerships with the international and domestic human rights community. AF recognizes the necessity of international co-operation in overturning the culture of impunity that sustains a climate conducive to human rights abuse in Nepal. Joint Communications from Special Procedures to the Nepal Govt in relation to Transitional Justice Process in Nepal.